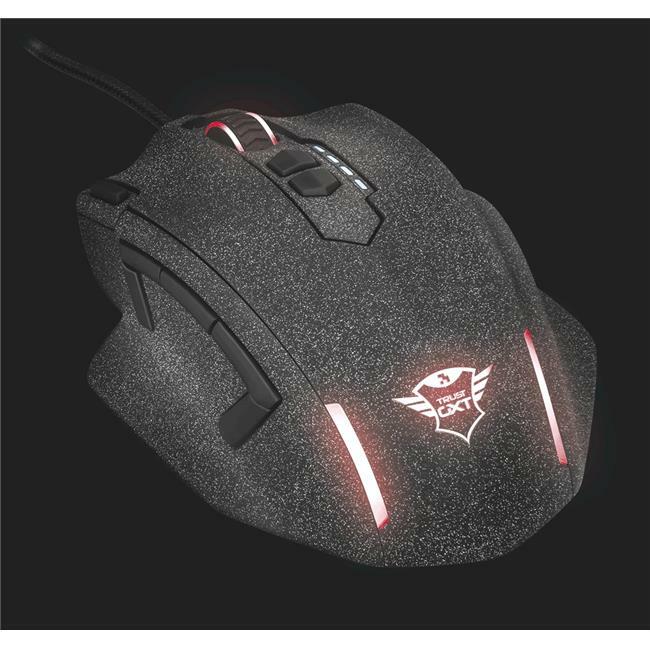 This well-designed gaming mouse has an ergonomic design with a practical placement of buttons and rough coating on the sides that ensures a solid and perfect grip during your gaming sessions. The 1.9 meter braided nylon cable glides easily on your desk and withstands heavy use. The weight is adjustable with 8 metal weights of 2 grams each. Apart from the five programmable buttons on the thumb panel, the mouse has 6 other easily accessible buttons. This provides a significant advantage in comparison to players who only use the keyboard. While other players have to search for the correct key, you can execute pre-programmed commands without taking your eyes off the screen. With the enclosed new software, the mouse is customizable to your own preferences. You can store up to five different profiles with all your personal settings. With the new gaming software you can adjust the DPI (up to 4000), polling rate, rate per second, LED color, double-click button and scrolling speed to your preferences and combine this settings into one profile.